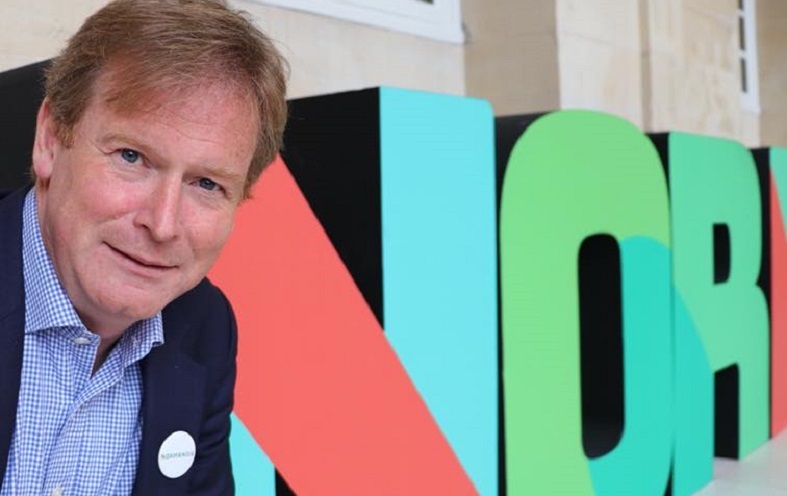 Michael Dodds, in charge of the branding and destination marketing of the Normandy region in France, in this interview illustrates how destinations are slowly but steadily moving towards sustainable development. 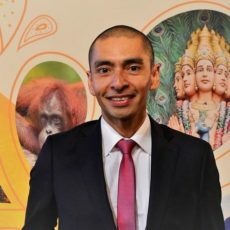 He also tells us how destination marketers are more and more assuming a role of brand stewards, and the important role they can play as facilitators of a more sustainable tourism. Michael, before relocating to Normandy to direct the region’s branding and marketing work, you spent almost 10 years with Brittany Tourism. Do you remember what first got you interested in tourism? My childhood was in Brighton, where they say tourism was invented in the United Kingdom. Summer jobs as a student in Brighton and then a project on tourism management in Brighton pushed me quite naturally in the way of tourism. But it was my first job as consultant with L&R Consulting, after an MSc in Recreation and Tourism Management at Loughborough University, that kicked off my professional career in tourism and marketing. Several of our interviewees have pointed to Brittany as one of France’s most successful destinations in terms of implementing sustainable tourism initiatives. In your view, what makes the region a leader in responsible tourism? Brittany has taken the concept of sustainable tourism seriously, both out of instinct and necessity. By instinct, because respecting the local environment and the local community is part of the Breton people’s DNA. By necessity, because France’s favourite peninsula with 2300 kms of largely preserved coastline needs constant protection, having been subject in the past to oil spills, problems with water quality and green seaweed. The promotion of sustainable tourism has received strong public support in Brittany since the Regional Council’s first sustainable tourism development strategy in 2006. A strong partnership between Brittany Tourist Board, the departments, the regional Chamber of Commerce and the state’s Environmental Agency (ADEME) has allowed strong progress to be made in the field of training, eco label certification, on the ground awareness campaigns, web promotions and cycle path infrastructure. Last but not least, there is the commitment of a growing network of Brittany’s tourism professionals who go out there every day, committed to welcoming visitors and sharing their passion for their region with visitors and colleagues. Based on your experience of marketing Brittany as tourist destination, would you say interest in the sustainability performance of destinations is stronger on the demand side (travelers, buyers) or supply side (communities, policy makers)? Which market trends do you observe? In my view, sustainability in tourism has been supply-led by forward thinking policy makers. But in recent years it has been great to see the growing interest in a more qualitative “slow tourism” that justifies the hard work and maintains the faith of many individuals. In France, the demand for “authenticity” is constant and there is a growing mistrust of tourism developments designed just for tourists, cut off from the local population. Which are the main topics or concerns linked to tourism sustainability at the moment in Brittany and/or Normandy? In recent years, Brittany’s focus has been preparing for the arrival of the LGV high speed rail link between Paris and Rennes, allowing each TGV station in Brittany to gain at least 45 minutes on the journey time to Paris. On the launch of the service in June 2017, Brittany Tourist Board’s focus was getting visitors on arrival to slow down and take all Brittany has to offer in an unstressed, relaxed manner and ensuring that visiting Brittany by train without a private vehicle was a viable proposition. A credible offer was ready for June 2017 but, as you can imagine, work is still very much in progress. Normandy has similar concerns as a region that combines both an urban, coastal and rural product offer. The greater proximity to Paris and the absence of a high-speed rail link means reliance on private vehicles is even stronger. Day trips from Paris can also lead to congestion and visitor management issues in peak periods at the seaside resorts. Use of electric powered vehicles, made by the Renault factory in Rouen, is to be encouraged, as is use of the various cycle itineraries that have been developed successfully over the last few years. And then there is the Seine River, Normandy’s economic and environmental backbone with its own specific challenges. Normandy has perhaps an even greater challenge of sharing a common philosophy towards sustainable development across a wide range of industries: agriculture, food, automobile, aeronautic, port logistics, oil and petrochemicals, pharmaceuticals, medicine, and energy in all its forms: from offshore wind farms to nuclear power stations. But the importance of tourism as a vital contributor to the general appeal of the region for investment is well understood. Commitment to sustainable development has recently been inscribed as one of the core values of the new Normandy brand, and a magnificent new mission to position Normandy as a “world-region” – organising every year, after the D-Day Commemorations, a “World Forum for Peace” – means the region certainly does not lack ambition. It wants to play a positive part internationally by spreading sustainability ideals and goals. Many destinations fail at sustainability because of the disconnect between community/regional development and management, and destination marketing. How can destination marketers help to enhance the well-being of the people and places within a destination? I have always believed that what is good for visitors should be good for locals and vice versa. This means ensuring that the local population are clearly involved in the development and experimentation with new services, from which they should also benefit. In communication terms, I am a strong believer in following the Irish example. Put the local population clearly in the centre of the tourism product offer. I think that placing passionate Breton people that are ready to share their region with others at the heart of all Breton communications has improved Brittany’s image over the years and enhanced the Breton population’s reputation as France’s most welcoming region. I will be pushing to make sure that Normandy in terms of visitor welcome will be hot on Brittany’s heels. The web is providing opportunities for local agents to reach new audiences and sell their products. The main problem in France is the overall business environment. The level of social charges and traditionally cautious attitude of the banks to tourism investment puts a serious break on entrepreneurial spirit. Margins are tough and that forces specialist operators to focus on small volume but high value markets. In Normandy, I am impressed by the efforts of the regional council to simplify aid to small businesses and to help encourage public-private partnerships. 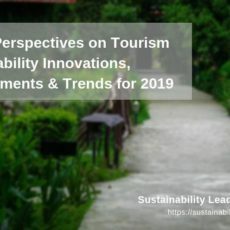 How can DMOs at a regional level help to maximize the sustainability performance of tourism businesses and optimize impacts on hosting territories? DMOS can help by deliberately promoting innovative sustainable initiatives, exchanging best practice and by encouraging the adoption of a common sustainable development philosophy. Successful destination marketing used to be mostly about innovative, engaging campaigns and selling a destination’s offerings to potential visitors. Yet, in times of “overtourism” it is more and more about brand stewardship and active networking internally. In your view, are DMOs prepared for this paradigm shift – ready to take on a role of facilitator and brand/destination manager, rather than “just” promoter? I think in France the directors of many tourist offices are ready to adopt the brand stewardship approach, but their role as destination managers needs to be accepted politically. Recent public sector reform encourages a pooling of resources and a more professional approach, but the role of technical officers and their ability to coordinate a cross-sector approach to managing the visitor experience in a town or a coastal resort is not always accepted. A destination’s sustainability performance is vital to its long-term image and appeal for tourism. A region or country’s reputation as destination for a holiday or short break is probably the first and most important element in its overall image and reputation. So, sustainability goes hand in hand with competitivity, image and reputation. Airbnb is putting cities and local communities to the test, often drastically limiting available rental space for locals, among other problems. Yet, it also brings visitors to otherwise unknown or unvisited, smaller cities and rural communities. In your view, has the impact so far been mostly positive or negative for the areas you have been involved with? In Brittany I think the impact has been mainly positive. Brittany does not have any major urban destinations, so there has been little speculation or evidence of Airbnb pushing the locals out of the city centres. For Brittany’s more remote rural areas, Airbnb allows an increase in quality accommodation stock where investment in hotels is barely viable. For Brittany’s coastal resorts with a strong concentration of second homes, Airbnb makes it easier for second home owners to let their properties for short term holiday rentals. Coastal resorts are generally healthier economically when the second home shutters are up rather than down. Destination marketers tend to avoid engaging with “sustainability” beyond using it for promotion aimed at specific niche markets, since it not something usually part of their KPIs. 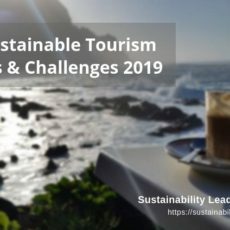 Reflecting on your own experience, which advice can you share with destination marketers in terms of how to engage with tourism sustainability? I see little point in treating sustainable tourism simply as a niche market to promote to. My view is that it is more worthwhile treating the subject as a general working philosophy to share with other professionals – from tourism and other sectors. It is hard work and difficult to measure, but important for the long term competitivity and appeal of your destination. Connect with Michael Dodds on Twitter, LinkedIn or Facebook. Enjoyed our interview with Michael Dodds on the destination sustainability strategies and challenges in Brittany and Normandy (France)? Spread the word!